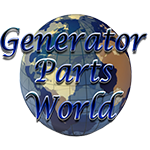 Generator Parts World LLC offers dealer and wholesale pricing to all business! Take 5% to 50% off every order, every day! Simply fill out the form below and submit it to us for review. You will be contact within 48 hours for approval or a request for more information. Once approved all details will be provided as well as special coupon codes!